North Korea has been back in the headlines, from the recent execution of leader Kim Jong Un’s uncle to former NBA star Dennis Rodman’s latest trip to Pyongyang. Daniel Pinkston, deputy project director for Northeast Asia at the International Crisis Group, answers readers’ questions on the latest developments. 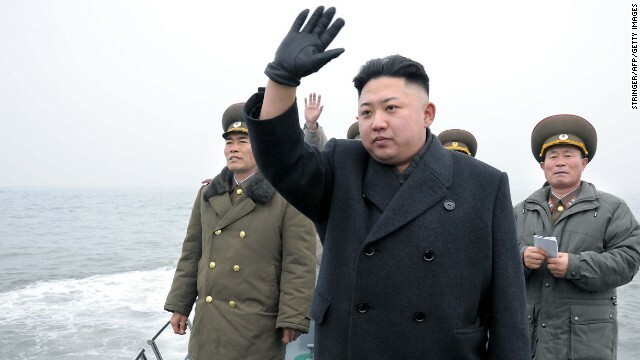 How influential a role is the military playing in North Korea’s government? In some ways, this question is awkward because it seems to suggest that the military is one of several actors in government with interests that often diverge from those of other actors. That would suggest policies are decided and resources are allocated according to a competition among internal agencies, but I think that misrepresents the reality. I would ask, “How prominent is the military in maintaining the Kim family dictatorship?” My answer would be: It plays a very prominent role along with the party and the mass organizations. How much influence does China have, and has the degree of influence changed since Kim Jong Un came to power? What is South Korea doing or should do in order to facilitate reunification? Be patient and maintain robust deterrence and containment until the demise of the Kim family regime. This should be supported by efforts to get information into North Korea and to increase civil society exchanges and people-to-people contacts with North Koreans. A sudden collapse of the North Korean regime could be worse for the international community than the status quo. Is there any indication that a combination of bribes and threats could push the country to gradually transition into something less dysfunctional than it is now? The likelihood of a gradual transition to democracy and economic liberalization while the Kim family remains in power is extremely low. Domestic politics and regime survival trump any bribe or threat from the outside. How should the U.S. respond to Dennis Rodman’s latest round of “sports diplomacy.” Is there are any place for these kinds of individual initiatives? The U.S. government should do nothing to obstruct it and let civil society exchanges go forward as much as possible. Private firms shouldn’t obstruct civil society exchanges, and if they wish to sponsor these exchanges, that should be welcome. Economic transactions (trade or investment) with private firms result in the Korean Workers Party and the Kim family regime acquiring hard currency, but sponsoring civil society exchanges and people-to-people contacts with North Koreans provides no money to the regime and this relieves any taxpayer burden for these exchanges. Private citizens, if they wish to see a peaceful transformation of North Korea's policy orientation, should not obstruct such exchanges, and if they wish to support them or take part in them, they should be welcome to do so whether they are students, faculty, athletes, musicians, or artists, etc. I agree. The government should not respond to rodman's idiocy at all. If something should happen to him when he is there then its all on him! Hes only trying to get attention anyway! It is in utmost importance that USA stops collaborating with Koreans. Neither North nor South Korea – are not trustworthy partner and endanger US success and world peace. As proven by the Rodman stuff, exchanges can be manipulated to ensure that the regime gets some kickbacks. How much did Koryo Tours pay to the regime for tourists to be able to see the match? Lil Donged Un is just mad because he's too fat to see his UN(it). "Civil society exchanges" with an autocratic regime involves ingratiating with its leadership, otherwise one won't get a visa and the contact with the civilians is strictly monitored. For a nation with an average income of between $1000 and $2000 annually, this expenditure was obviously designed for the nation's elite. Please do not believe, not trust North Koreans – they are evil dictators – remove them from power.